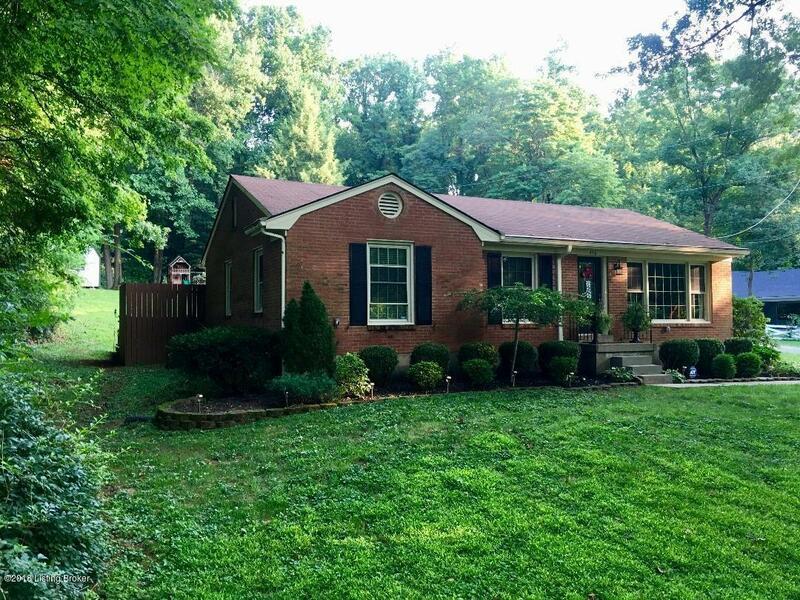 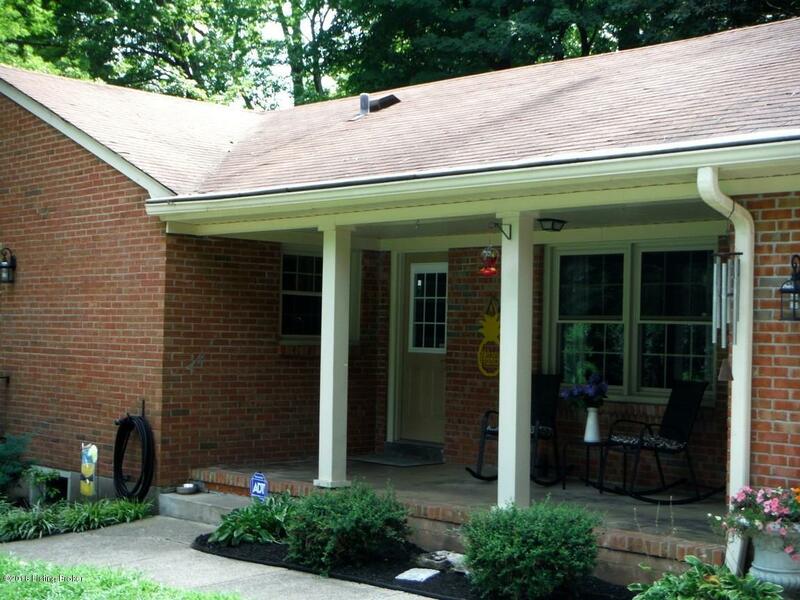 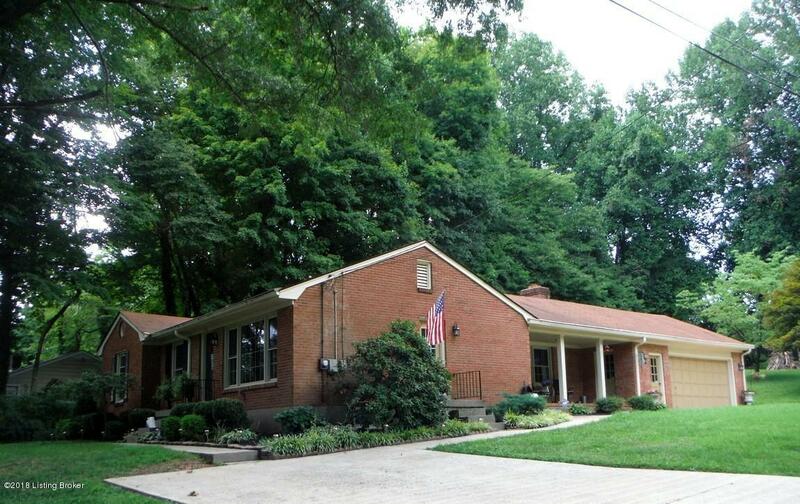 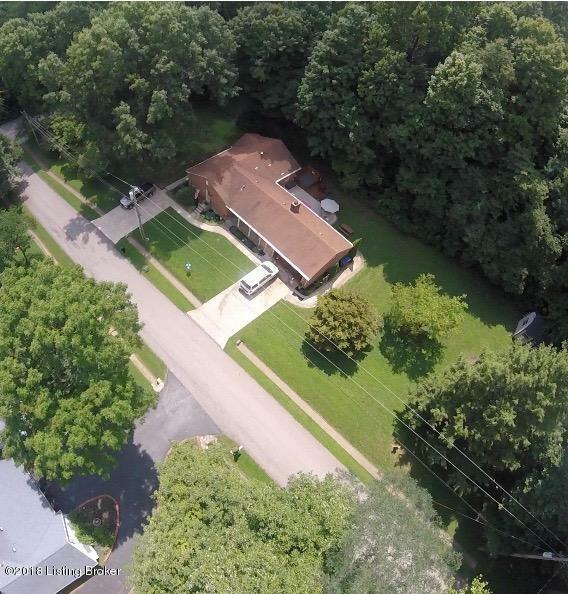 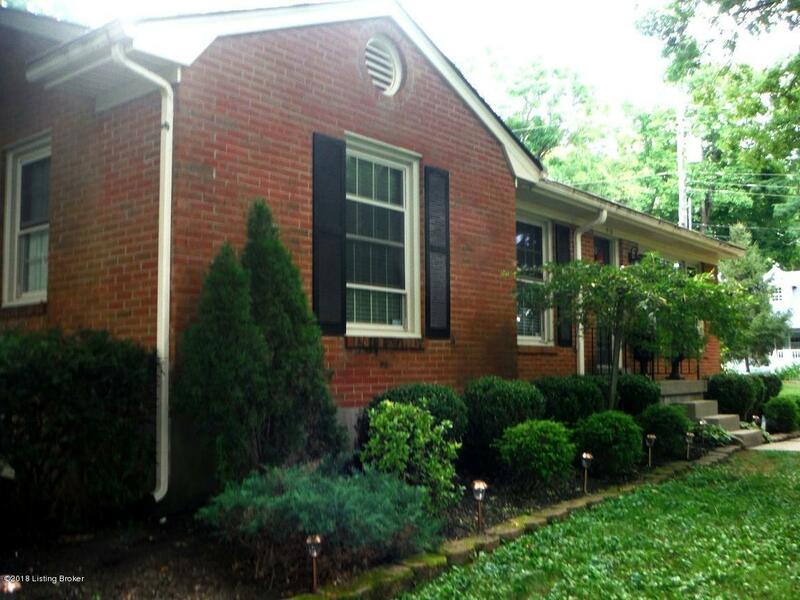 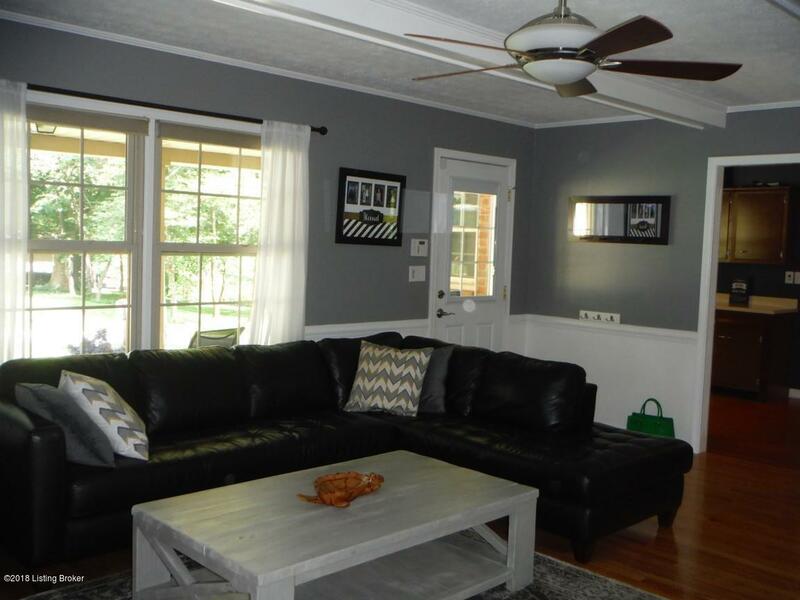 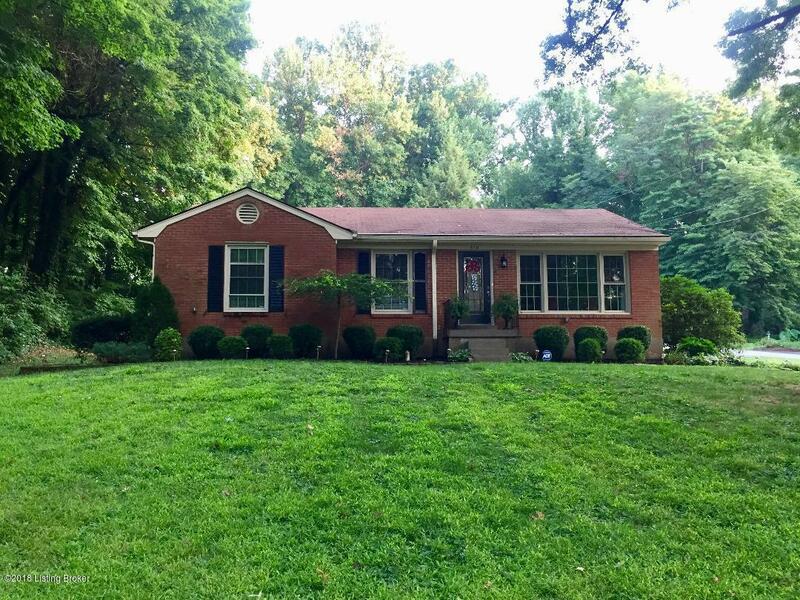 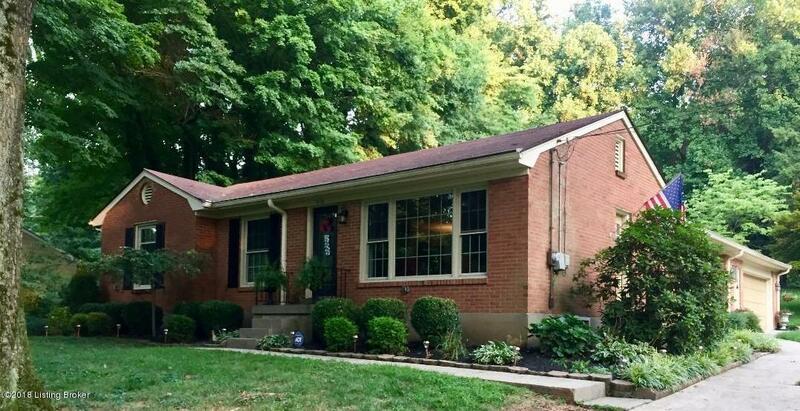 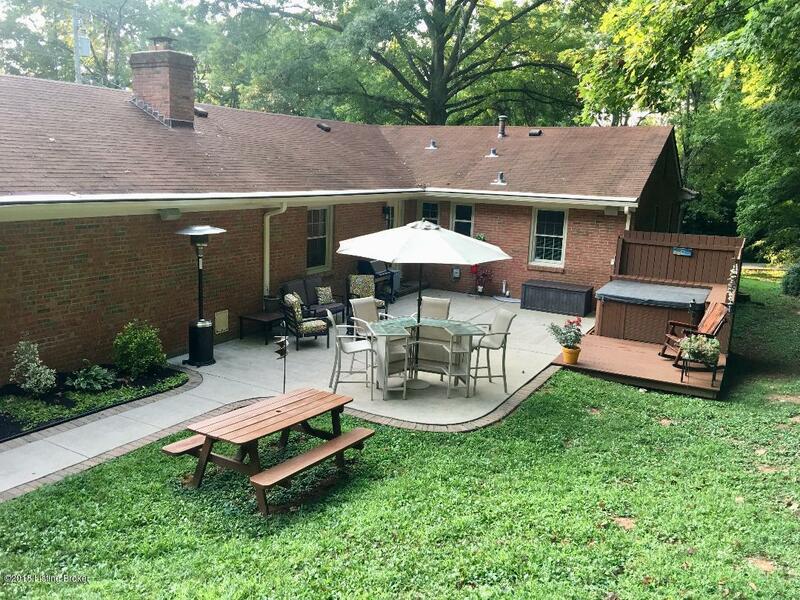 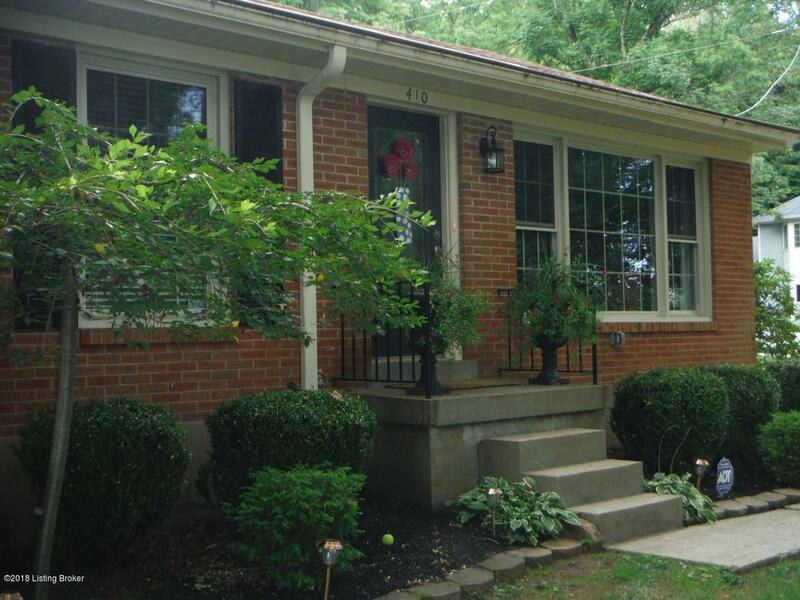 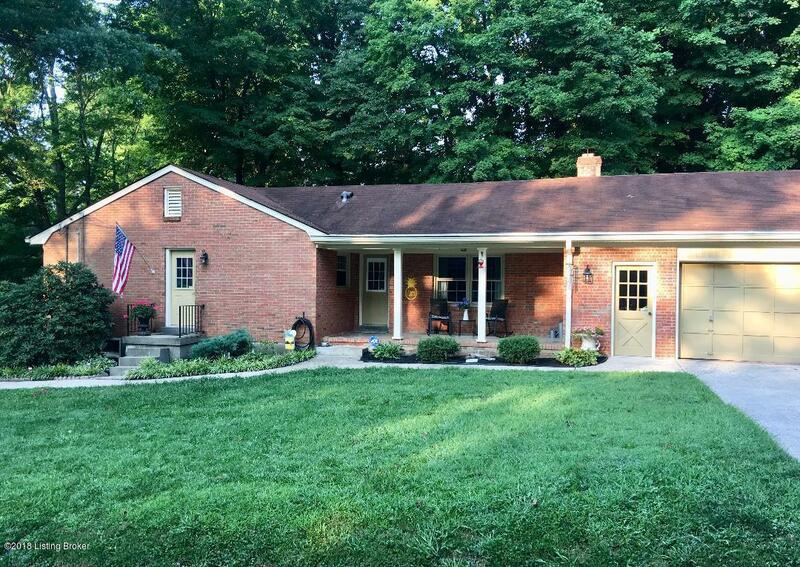 Welcome Home to a Pristine Brick Ranch sitting on over 3/4 of an acre in a Park Like Setting, In the Heart of Historic Pewee Valley. 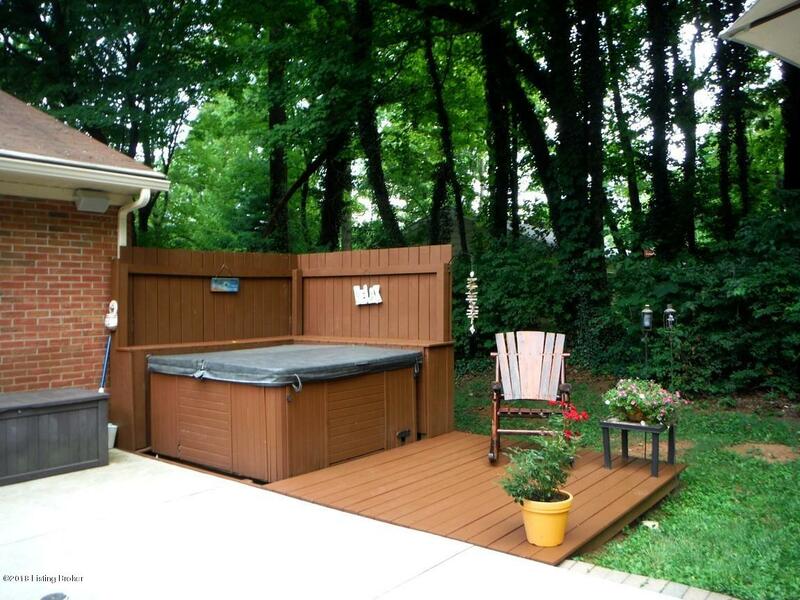 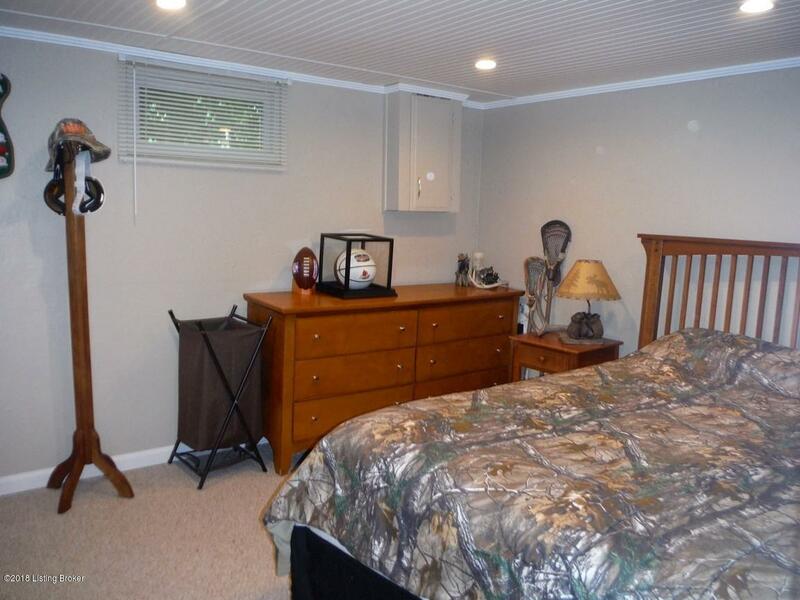 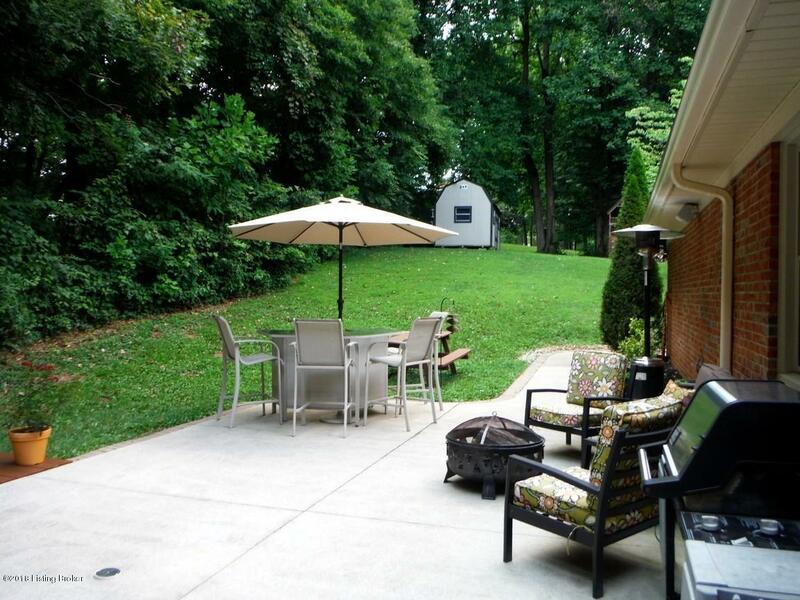 With a cozy, covered sitting porch and a fabulous private patio w/ hot tub entertaining will be a pleasure. 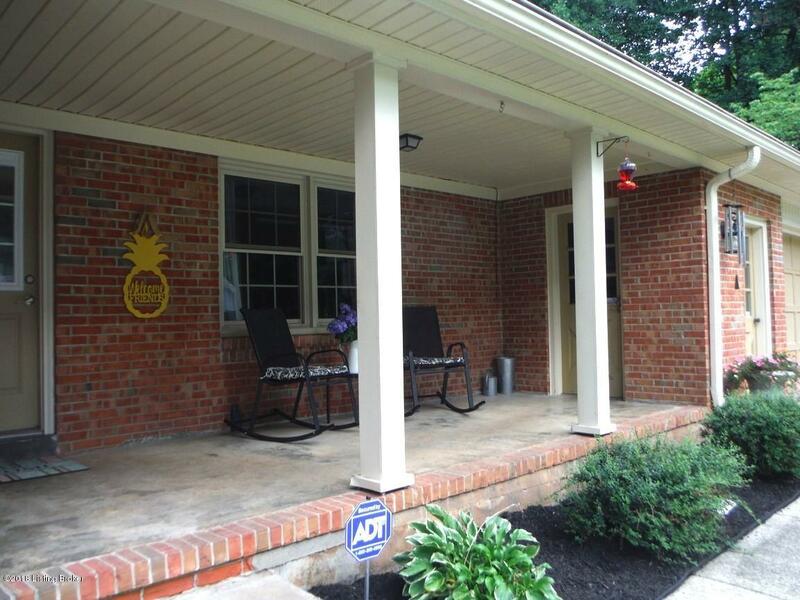 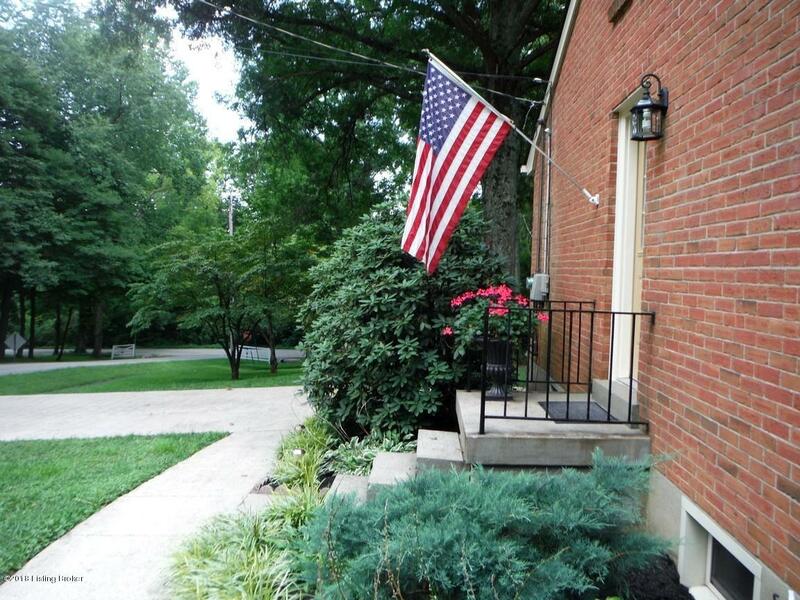 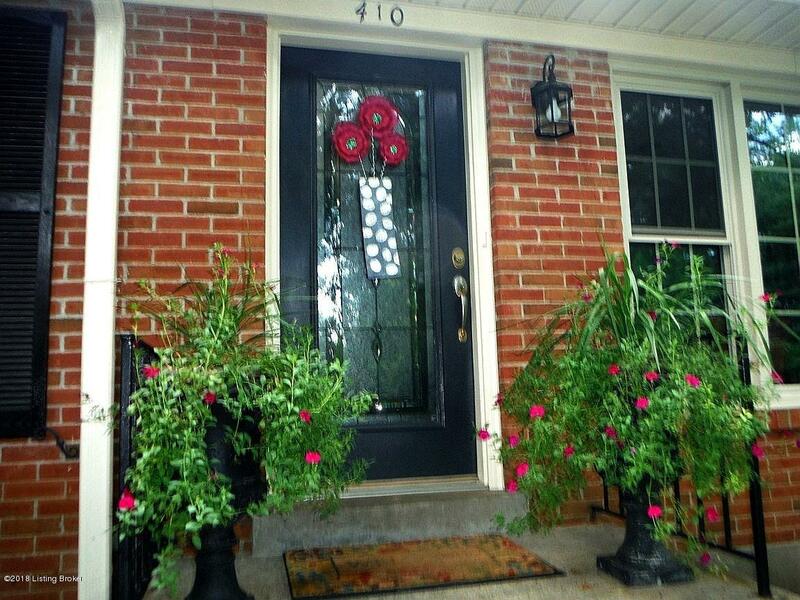 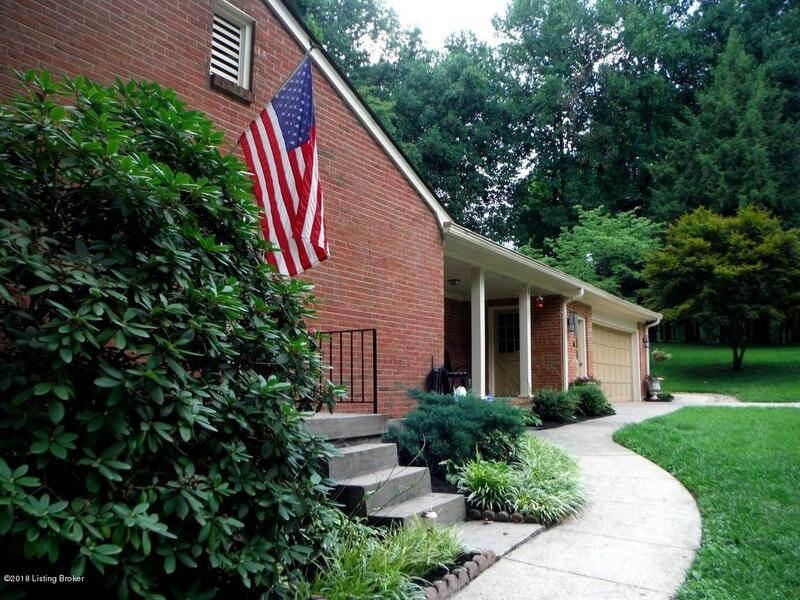 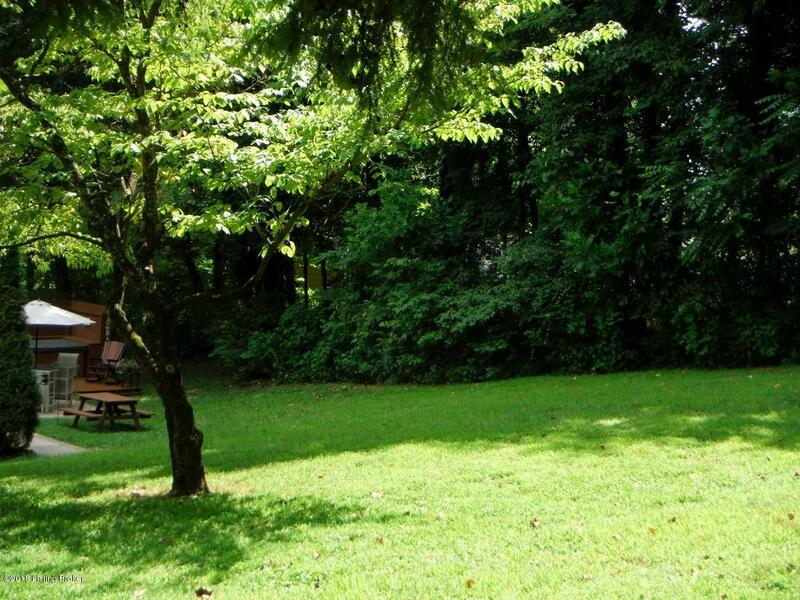 Beautifully Landscaped with mature trees and seasonal flowers. 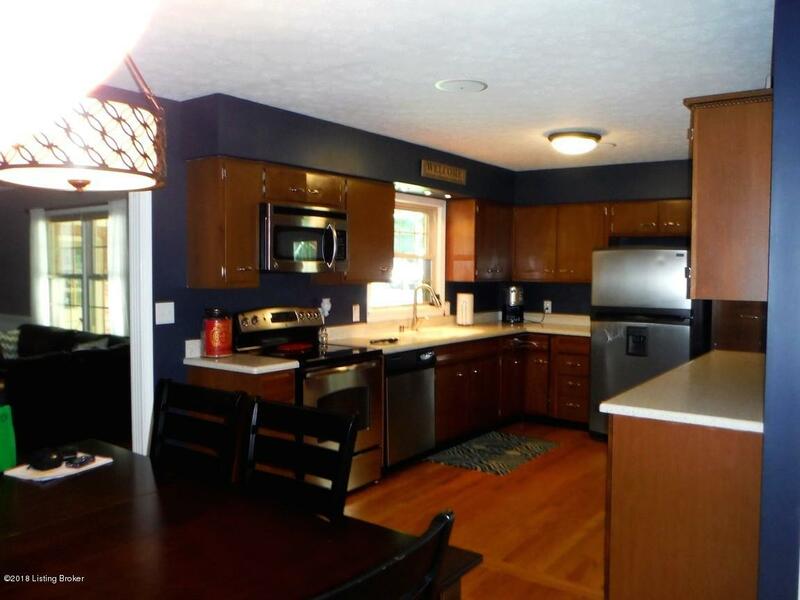 The large well equipped kitchen with SS appliances boasts spacious cabinetry and newer counter tops. 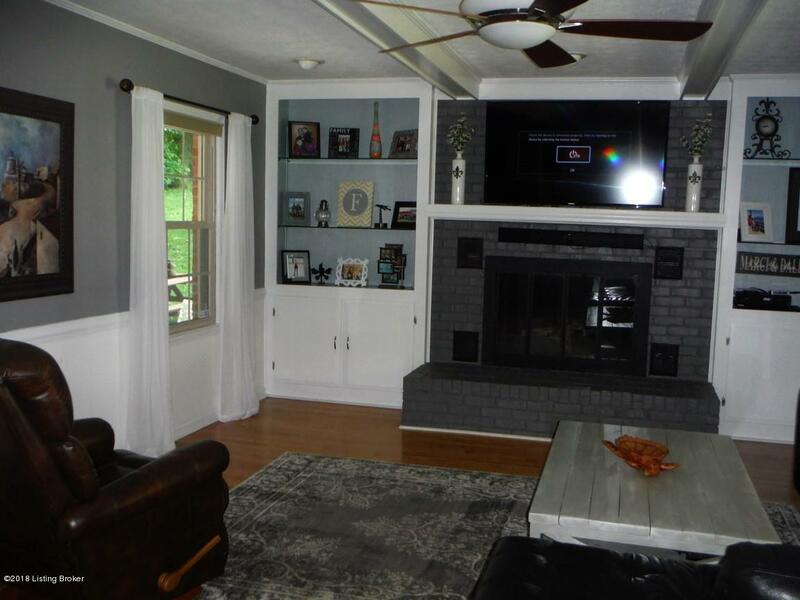 Open, Sunny Family Room with Fireplace, Beamed Ceiling and Built-In Bookcases/cabinets.Hardwood Floors through out First Floor. 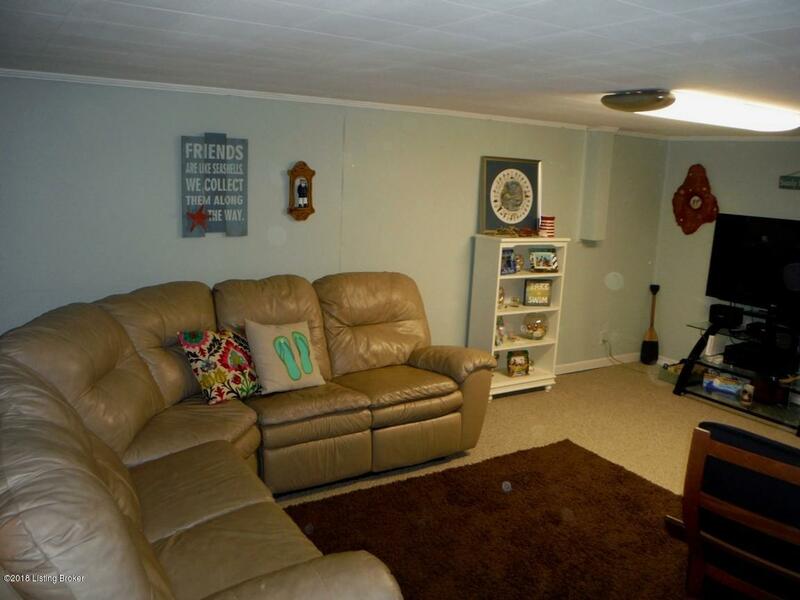 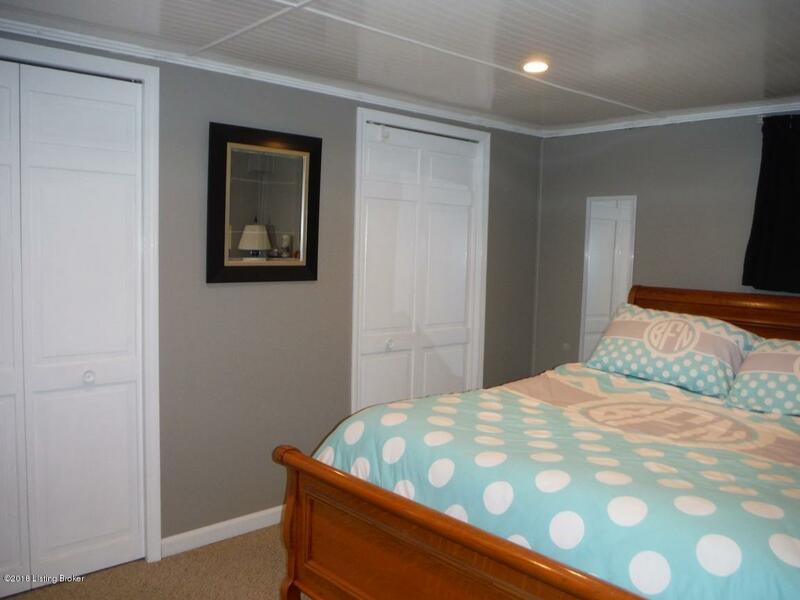 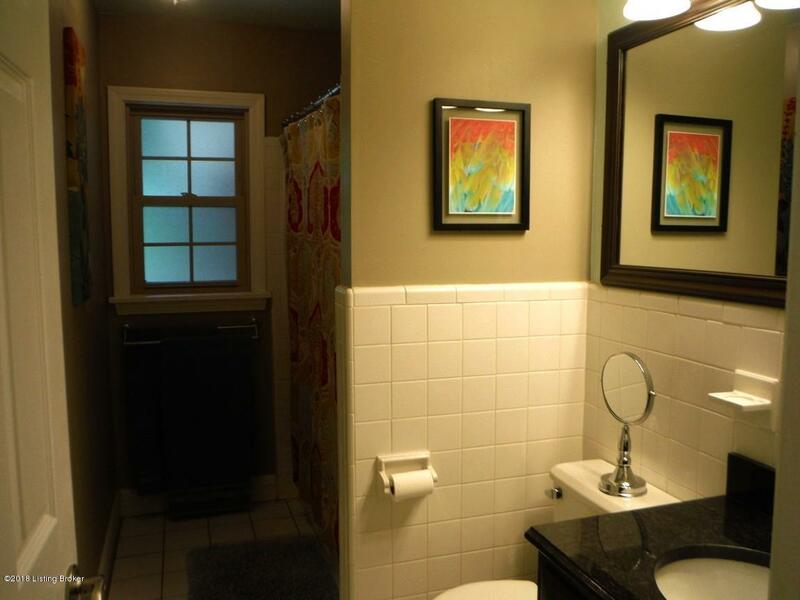 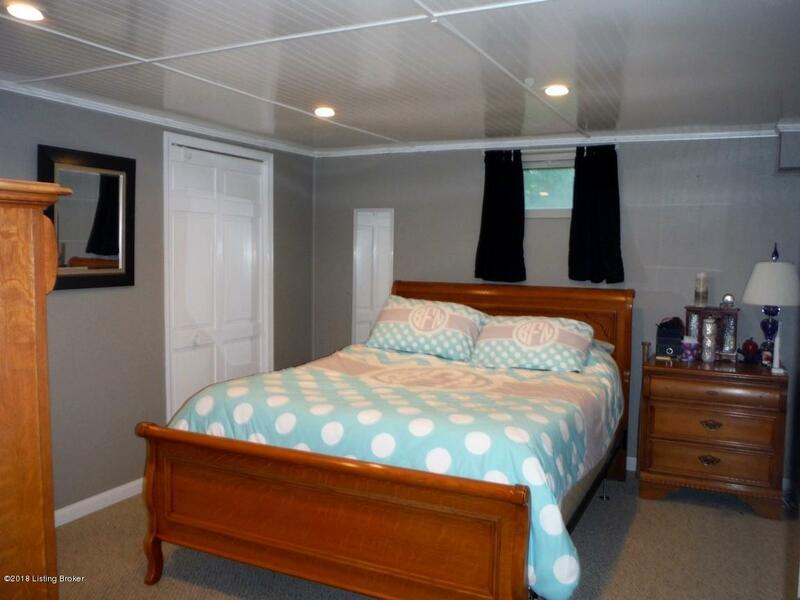 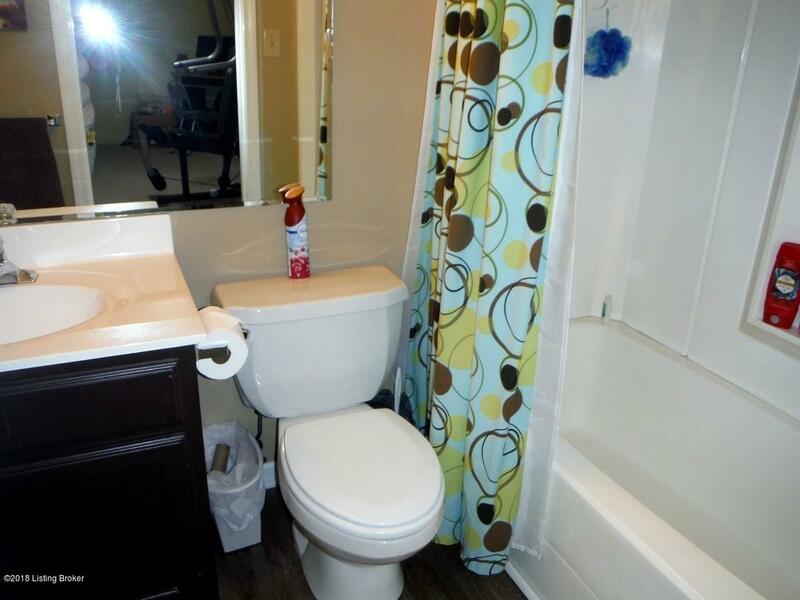 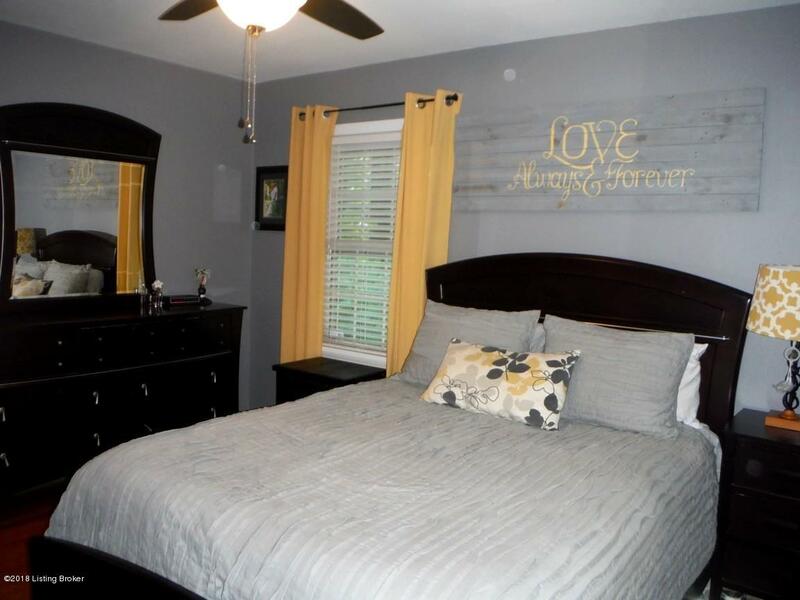 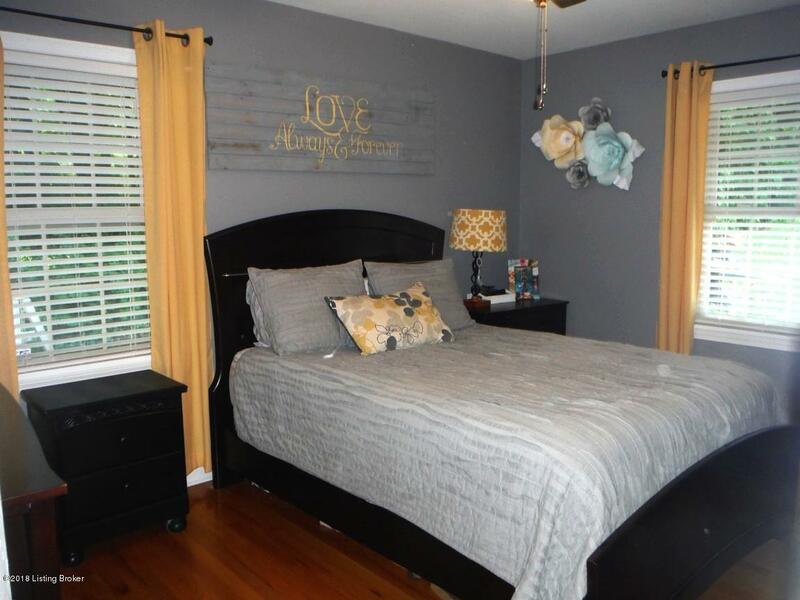 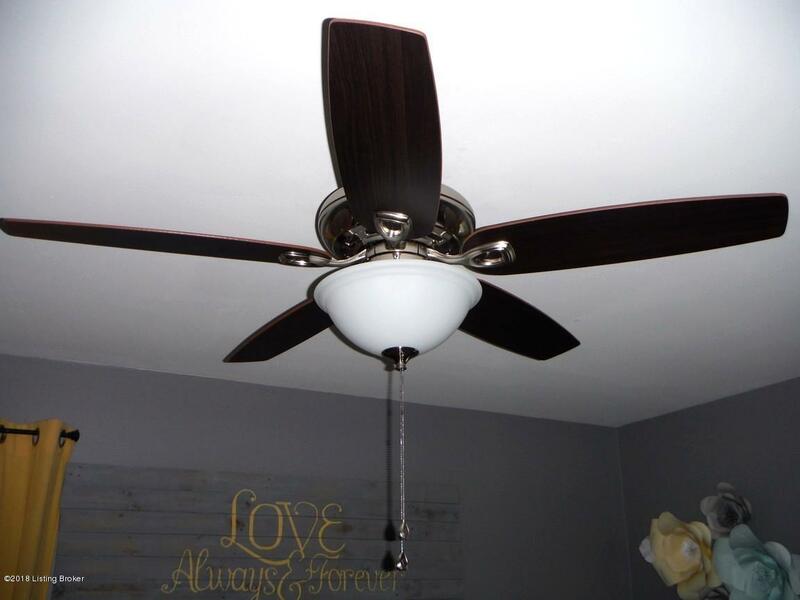 Many updates; Windows, Exterior & Interior Doors, Electrical,Upstairs Bath & Kitchen sinks, Kitchen Counters, Wireless Sound System, & Ceiling Fans.Two rooms with closets in basement currently used for bedrooms. 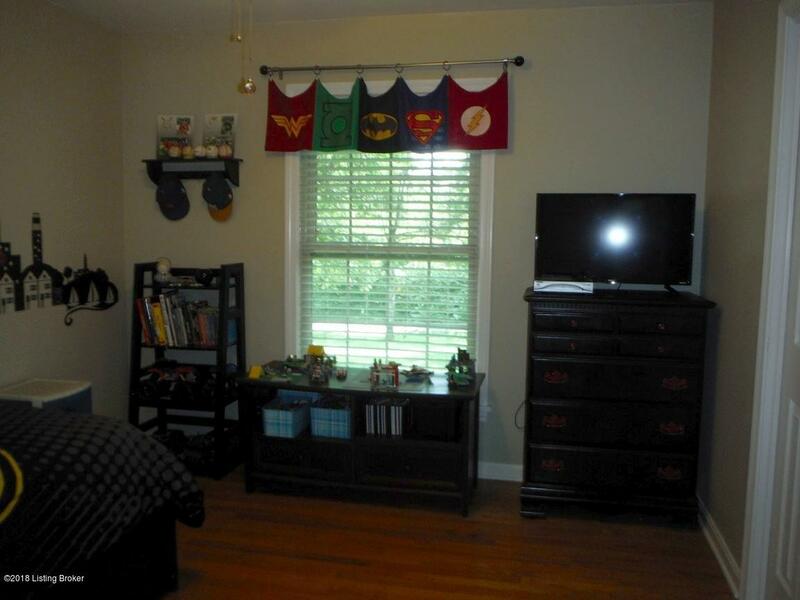 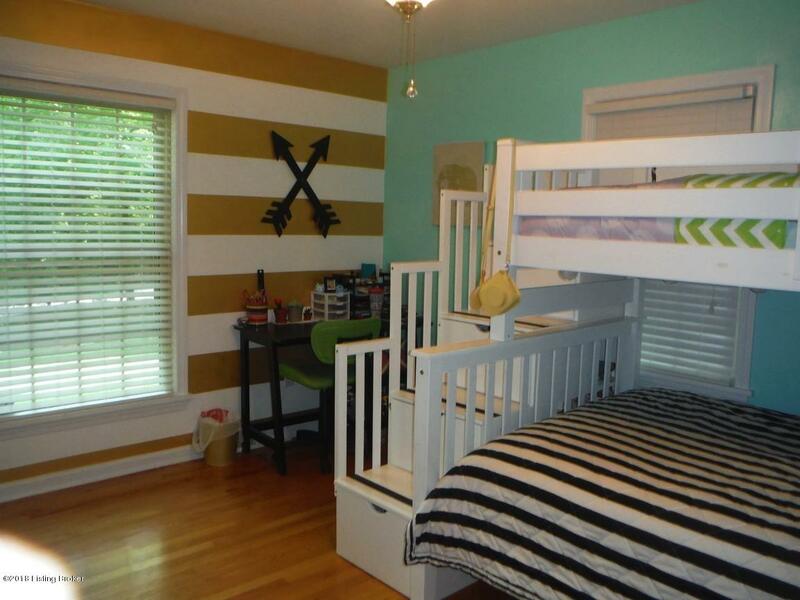 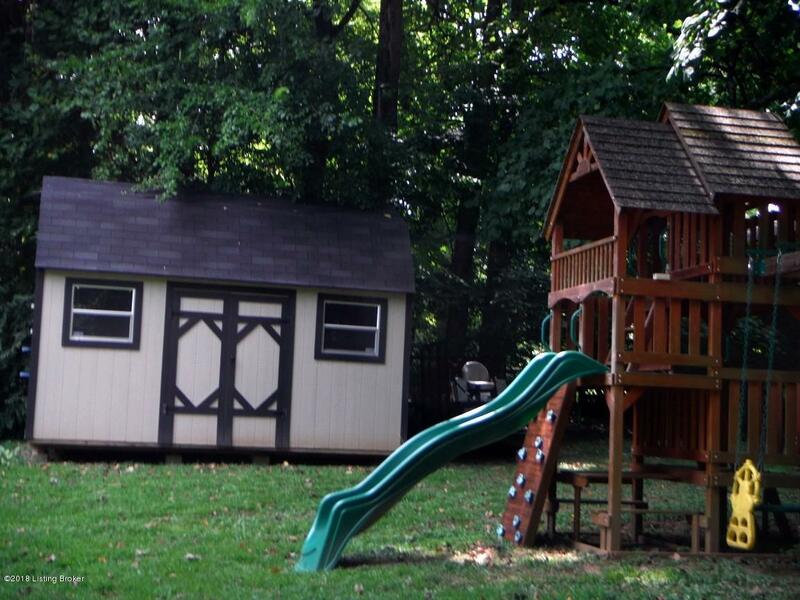 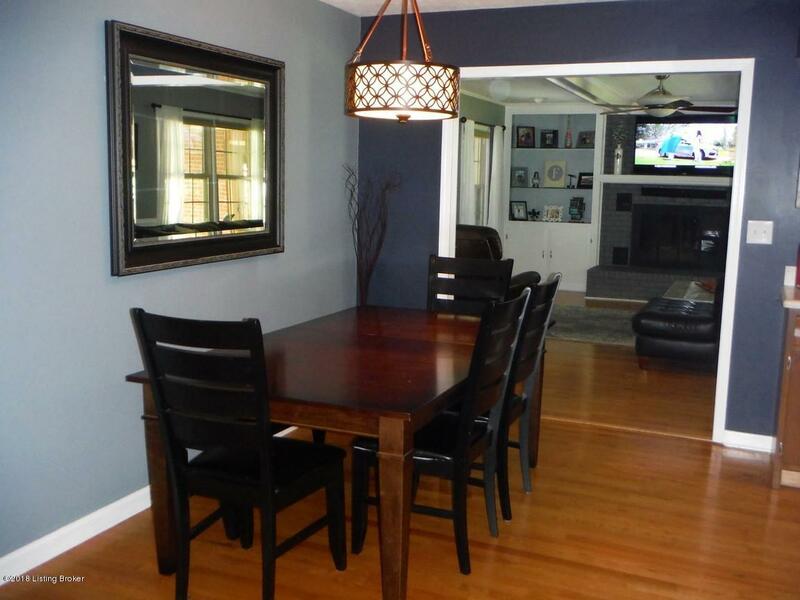 Close by amenities and Award winning Schools.